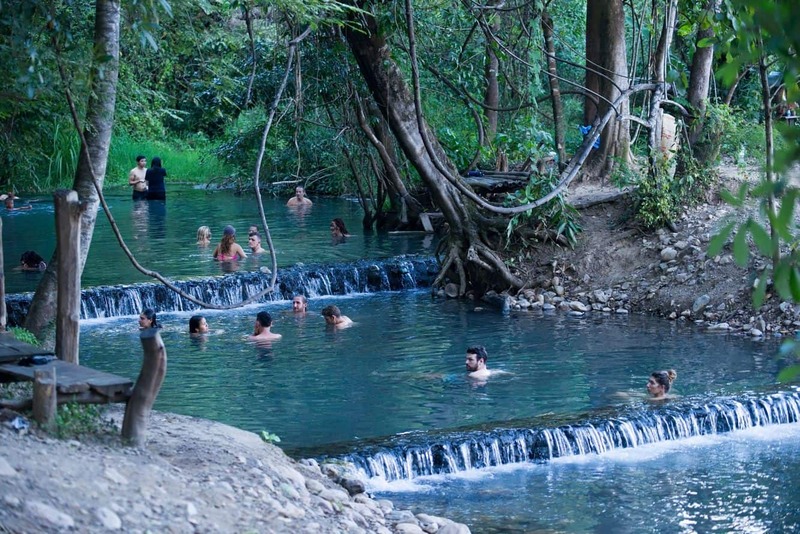 The Sai Ngam Hot Spring (also known as the Secret Hot Springs) are located 15 kilometres north of Pai and can be reached by scooter. With entry only costing 20 THB, this is certainly a great place to come and relax during your stay in Pai. 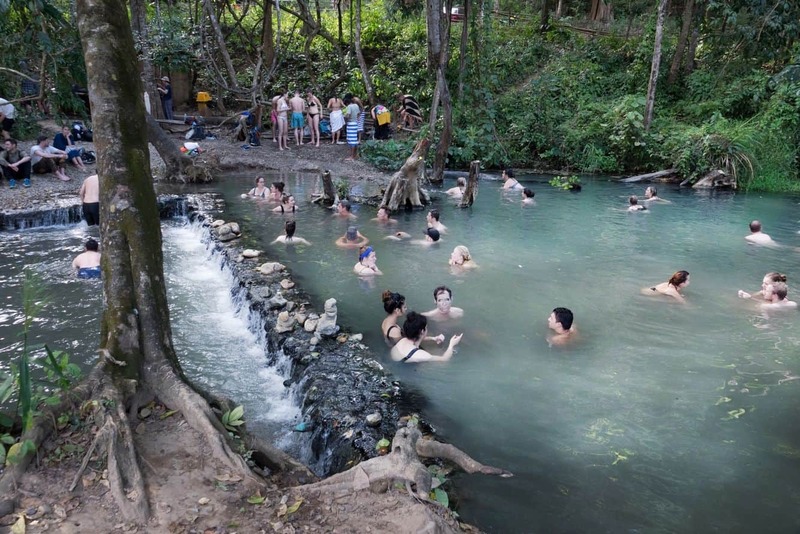 The Sai Ngam Hot Spring has a couple of large pools in which people can swim in, with the most popular being the large pool at the top. The water sits at a comfortable temperature which will allow you to soak for hours, should you so choose. There are change rooms and toilets located here as well as food and drink stalls where you can purchase a snack or a drink. You can get up to the falls by travelling 30 minutes up a steep and windy highway 1095. Travel for around 12kms (you will see the Pai Basin Wildlife Sanctuary on your right) and then there is a small concrete road on your right which goes up a hill (looks like a driveway). There is a small yellow hut to the left of the road and some blue signs. From here, there is about 4kms of steep road which can be very difficult to navigate with 2 people on a scooter. You will need at least a 125cc scooter to make the trip, as the hills are so steep that you may not make it to the top with anything less. A 125cc scooter will cost around 250 THB. Once you arrive, entry is only 40 THB (20 for entry and 20 for scooter parking). 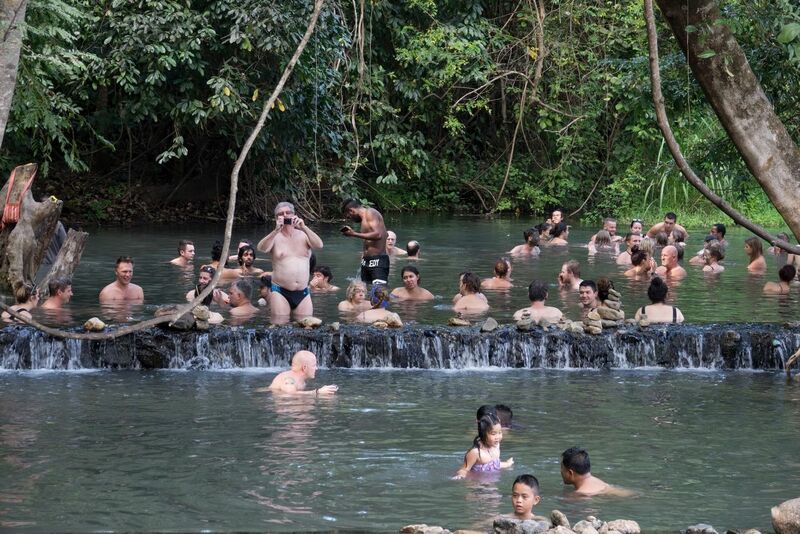 So come to the Sai Ngam Hot Spring for a great day out during your stay in Pai!